There are several ways to add people to Populi. We import people from your old system during the initial data migration. You create a new person based on information received from an online inquiry, application, donation, or imported ISIR. You add a new Library patron. You go to Admin > Add new person. This article covers this option. Go to Admin > Add New Person. Enter the person's name. At minimum, you need to enter a first and last name to create a new person in Populi. You can either use the super-simple name field, or click Want more fields? to enter each part of the person's name field-by-field (prefix, first, middle, etc.). See below for more details. When you're done, click Add Person. Prefixes and Suffixes: Type them in the appropriate places before and after the name; make sure to not use a comma with suffixes (or else it will display as the first name): Dr. John Adams Jr.
Former names: Enclose a name in parentheses to note a former last name: Louisa (Johnson) Adams. John Quincy Adams' Populi name would be John Adams. John "Johnny" Q. Adams' Populi name would be Johnny Adams. You can enter a person's Populi name (if you wish it to differ from first/preferred-last) using the want more inputs? name fields. You can also edit it on the person's profile after you've added him to Populi. By clicking the Populi name on a person's profile—it will toggle over to show the person's full name. By going to their personal settings and selecting Yes under the Show full name... setting. 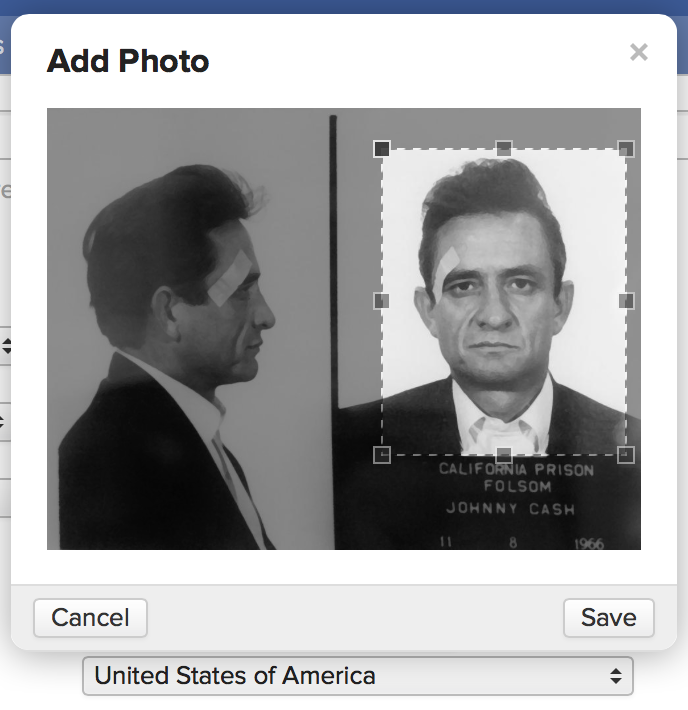 You can add an ID photo when adding the person, or anytime later on. Click to search for a photo to upload or drag and drop into the file upload area. You can also take a snapshot with your computer's camera. Make sure it's turned on and give permission for Populi to access it. Use the cropper to crop and resize your image, if necessary. Giving your person a user role will define what he can do in Populi (you'll still need to activate him as a user). Remember that no one can change anyone's role (whether their own or another's) to a higher-privileged role than their own. So, Staff can't add to Academic Admin, Admissions can't create Registrars, and so on. Another role drop-down will appear below the one you're using. You can give a person as many roles as necessary, or none at all. If you wish to add another role, use the new drop-down. If not, then just ignore the new drop-down. If you add a role by mistake, click that drop-down and select "--". As you type, a new tag field will come up below the one you're typing in. If you need to add more tags, just tab over to the new field and enter another tag. If not, then just ignore that new field. When you're done, just stop adding tags! When you've entered all the information you wish, click Add person. You'll be taken to their new profile, where you'll manage their information and interaction with your school. When you click Save, Populi checks your database for people your new person might duplicate. If there are matches, Populi will suggest them, along with a Not a duplicate option. Select Not a... to just create a new person. Selecting a matching person will merge your new person's information with the existing person, and append any new or unique information to the existing person. So, if you merge new person "John Adams" (email: jadams@gmail.edu, address: 123 Fifth Street) with existing person "John Q. Adams" (email: jadams@gmail.edu, address: 123 5th Street), Populi combines the email addresses, but retains both mailing addresses. As you can see, you'll probably want to delete one of the addresses. The already-existing person's contact info will be retained as primary. Can a user name ever be modified? The Populi-generated user name for one of our people used a misspelling of the person's last name. We've corrected it for display, but the user name seems to be off-limits. Scroll to the bottom of this article to the part about "changing" a username; you can't change a username per se, but you can remove user access and then re-add it with a different username. Hi, Once I add a new user, how will I give them access to Populi?